The Early Chamber Ensembles offer students the opportunity to perform early repertoire (music from the Medieval, Renaissance, Baroque, and Classical eras) for credit in the School of Music’s chamber music program. Meeting times are arranged according to the schedules of the participants and the instructors. 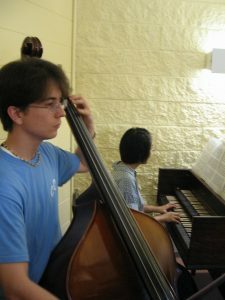 Students are placed in ensembles based on their level and experience, and perform either on “modern” or on period instruments (and voice parts), depending on interest and ability. Ensembles are generally small chamber music groups of 2-6 people. 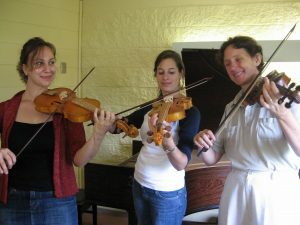 Each group receives weekly coachings on ensemble techniques, on performance practice, and on the technique of their instrument (as appropriate). String, woodwind, and keyboard students also have the opportunity to take individual lessons on the School of Music’s early instruments. 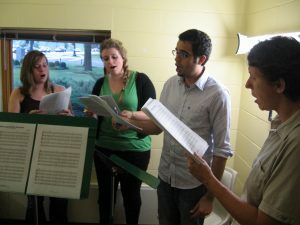 The Early Chamber Ensembles perform regularly one concert per semester, with occasional run-out concerts, such as a performance for the annual meeting of the Southern chapter of the American Musicological Society. Concerts feature instrumental and vocal repertoire from troubadour songs to Mozart.